You’ve probably seen them or know of them: students who seem to breeze through classes and quizzes. They’re often the ones who prepared enough ahead of time to be able to ask questions in class. Sometimes they’re the ones who review after a class. The gist is that having some familiarity with a subject improves your likelihood of doing well in a course. Smart students know this, whether consciously or not. Now, if you are planning on going to college, you have an advantage in that there are thousands of free MOOCs – Massive Open Online Courses – with which you can get familiar with subjects well before you even enter college. What’s more, you have the opportunity, at no cost but a bit of time, to try out subjects that you might be interested in — before you commit a chunk of your life and a considerable amount of money before attending college, before choosing a major. We’ve compiled a list of 10 ways to get a jump on your college career, through exam prep courses or introductions to subjects. All you need is an Internet connection, a suitable desktop / laptop computer or tablet, and some time and willingness to invest. Good luck. STEM education is emphasized here, not just because the options are plentiful but because such education is important to the future of the country. There are actually about 50 courses listed here, grouped into ten entries and seven subjects. A number of courses listed are for AP (Advancement Placement) exam prep, If you are not familiar with AP courses, we urge you to read up on them at College Board. AP prep classes help high school students and anyone planning on entering college not just with learning opportunities but also with college credit based on how well you score on AP Exams. Course availability can change. Most e-learning platforms have a “watchlist” type of feature which will send you an email notification if a currently unavailable course is scheduled at a later date. Some of the courses listed have archived lecture material, including text, audio and video. Writing well is important to the success of college students, and the benefits carry over into your career. It never hurts to practice, especially most American college degrees have some sort of English course requirement for graduation. Good writing skills will always be of value to you in any career. The Tennessee Board of Regents has a prep course, Preparing for the AP* English Language and Composition Exam. To supplement this, consider taking another composition course, such as, First-Year Composition 2.0, or one of the many other grammar and writing courses available for free online, especially from Coursera.org and edX.org. Interest in the environment is arguably the highest it has ever been, and if you have an interest in this field, consider Rice University / RiceX‘s four-course series towards the AP* Environmental Exam, including one full course dedicated to reviewing for the exam. Part 1: The Living World – Topics include environmental problems and history, and ecosystems. Part 2: Populations – Topics include populations, biodiversity, sustainability. Part 3: Pollution and Resources – Topics include pollution, the state of resources, and the effect on the population. Part 4: Exam Review – This course is focused on preparing for the AP exam, so it covers the topics in Parts 1-3. For further studies, there is Dartmouth College / DartmouthX‘s intro course, or University of Chicago / ChicagoX‘s climate-change modeling course for non-specialists. Introduction to Environmental Science – Topics include how to think like an environmental scientist and how we impact natural systems. Modeling Climate Change – Topics include the basic principles up to complex models of the Earth’s climate. Biology has several dozen branches and, as a result, has many applications including population health and ecosystem monitoring.Rice University / RiceX offers a five-course series for the AP Biology exam prep. The broad topics covered include the cell, genetics, evolution, and ecology. There is also an entire course dedicated to preparation for the AP Biology exam. Part 1: The Cell – Topics include biochemistry, cell processes and cell communication. Part 2: Genetics – Topics include the history of genetics, molecular genetics, relevant modern technology, the workflow of living systems, the process of evolution and the resulting diversity of life. Part 3: Evolution and Diversity – Topics include further discussions on evolution, the diversity of life, and the interaction of biological systems. Part 4: Ecology – Topics include . Part 5: Review and Exam Preparation – This is the dedicated exam prep course, so topics covered in Parts 1-4 are reviewed here. Chemical reactions are a daily part of our life. Many of the most basic things we do daily involve chemical reactions, from brushing our teeth in the morning to cooking a meal. Chemistry is known as a “central science” because aspects of it carry over into other sciences. If you are interested in a career in chemistry – or even just curious – the Cooper Union for the Advancement of Science and Art / Cooper Union offers a two-course series for students looking to take the AP Chemistry exam. Preparing for the AP* Chemistry Exam – Part 1 – Topics include the building blocks of matter, particle organization and structure, chemical reactions and more. Preparing for the AP* Chemistry Exam – Part 2 – Topics include atomic theory, periodic table, bonding and molecular structure, kinetics and more. Part 1: Fluids and Thermodynamics – Topics include fluid mechanics, thermodynamic processes, systems and interactions, systems and conversation laws. Part 2: Electricity and Magnetism – Topics include electricity, magnetism, electromagnetic induction, space fields and interactions, forces and system changes. Part 3: Optics and Modern Physics – Topics include geometric optics, light, modern physics, mathematical models, probability, energy and momentum transference of waves. Part 4: Exam Review – This course is entirely exam prep, so it covers topics from Parts 1-3. If you want a less intense option, there is a single-course option, On-Ramp to AP* Physics C: Mechanics, from Weston High School. While there may be a widespread fear of mathematics, it is an immensely important subject that factors into everything. Galileo, the famed Italian physicist/ mathematician/ astronomer/ philosopher and a “father of modern science,” even said something to the effect that the language of the universe is mathematics. Fortunately, as with any subject, familiarizing yourself with mathematical concepts ahead of time gives your mind time to absorb them for later review. There are many free math MOOCs available to give you a preview opportunity, and even extra credit if you write the relevant AP Exams. 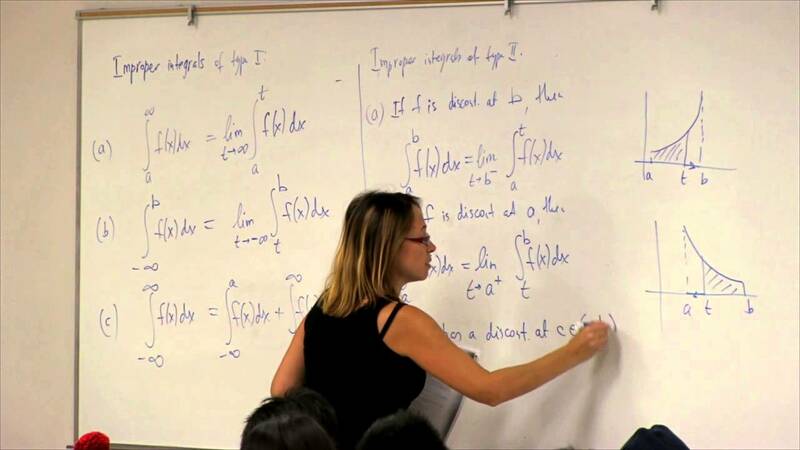 We’ve selected several courses covering calculus, statistics, and related topics. 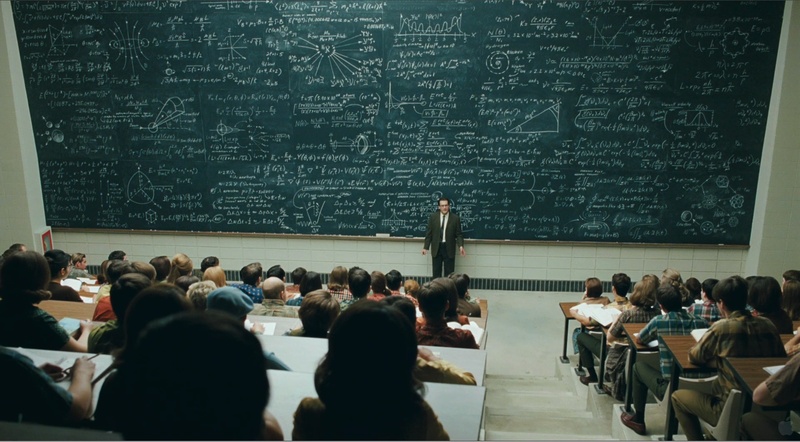 Depending on how comfortable you are with calculus concepts, you have many choices of courses. A few worth considering are Pre-University Calculus from Delft University of Technology / DelftX, the three-course Calculus 1A-1C series from Massachusetts Institute of Technology (MIT) / MITx, or the two-course Calculus One and Two series from Ohio State University / Coursera. Pre-University Calculus – Topics include elementary functions, equations and inequalities, differentiation and derivatives. Calculus 1A: Differentiation – Topics include graphical and numeric limits, derivatives, linear and quadratic equations, max and min values of functions. Calculus 1B: Integration – Topics include differential equation models for physical phenomena, integrals and derivatives, integration methods, real world problems. Calculus 1C: Coordinate Systems & Infinite Series – Topics include arc length, curve parameterization, polar coordinate calculus, Taylor polynomials for function approximation, infinite series convergence properties. Calculus One – Topics include functions and limits, derivatives, differentiation, chain rule, optimization, linear approximation, antidifferentiation, integration, substitution rule and more. Calculus Two: Sequences and Series – Topics include sequences, series (alternating, power, Taylor), convergence tests. Statistics is another subject with numerous online course options. As a starting point, you can choose between AP Statistics exam prep (from Tennessee Board of Regents), a gentler intro to stats to help you “love” it (from University Notre Dame / NotreDameX), a three-course introductory series from UC Berkeley / UC BerkeleyX, or Sabermetrics 101 (from Boston University / BUx), which is the study of statistics, analytics and data science in general as it applies to the game of baseball. Preparing for the AP* Statistics Exam – Topics include exploring data and finding patterns, sampling and experimentation, statistical inference and hypothesis testing. I “Heart” Stats: Learning to Love Statistics – Topics include choosing statistical tests, determining statistical significance, summarizing data, assessing the credibility of data. Introduction to Statistics: Descriptive Statistics – Topics include fundamentals of statistics, interpretation of graphical and numerical summaries of data, determining the reasoning and validity of statistical calculations. Introduction to Statistics: Probability – Topics include random samples and their behavior, approximation of probabilities for large random samples. Introduction to Statistics: Inference – Topics include statistical ideas and methods for making conclusions from random samples of data. Sabermetrics 101: Introduction to Baseball Analytics – Topics include the basics of data science as applied to baseball, the R and SQL computer languages, computing and communicating the statistical analysis of baseball data. Here’s a fact: there is a shortage of skilled software engineers in the United States, maybe even worldwide. Unfortunately, many people automatically lump computer science in with mathematics, and while math is a relevant skill, there’s far more to the spectrum of opportunities in this field, including visual design, interface design, psychology in terms of game theory and expected human behavior, and more. So it is not all about math and programming. But first, you need to know some of the basics. For the AP computer science exam prep, here are a couple of options, including the two-course series from Cooper Union for the Advancement of Science and Art / Cooper Union and the four-course series from UC Berkeley / UC BerkeleyX — both of which are prep for the AP Computer Science A exam. Preparing for the AP* Computer Science A Exam — Part 1 – Topics include variables, conditionals, objects, primitives, control structures, lists, arrays, Exceptions. Preparing for the AP* Computer Science A Exam — Part 2 – Topics include the use of objects, classes, inheritance, interfaces, abstract classes. Preparing for the AP* Computer Science A Exam — Level Up! Part 1 – Topics include programming in Java, designing and writing games and simulations, strategies for developing (analyzing, modifying, debugging) code. Preparing for the AP* Computer Science A Exam — Level Up! Part 2 – Topic list is the same as for Part 1. Preparing for the AP* Computer Science A Exam — Level Up! Part 3 – Topic list is the same as for Part 1. Preparing for the AP* Computer Science A Exam — Level Up! Part 4 – Topic list is the same as for Part 1. There are a plethora of free courses on the “fundamentals” and “foundations” of computer science. Here are four introduction/ fundamentals courses from, respectively, University of Toronto/ Coursera, Harvard University / HarvardX, MIT / MITx and Stanford. Several of these courses are groundbreaking in that they were early offerings in online learning. Learn to Program: The Fundamentals – Topics include computational thinking, solving real world problems, programming concepts, Python programming language, processing web data, text-based games. Introduction to Computer Science and Programming – Topics include the elements of programs, simple algorithms, functions, recursion, objects, debugging, algorithm efficiency, memory and search, classes, object-oriented programing, plotting, simulations statistical thinking and more. Computer Science 101 – Topics include the basic concepts of computer science and computers, computer hardware and how it works, terminology and jargon, how software works, loops and logic, bugs, structured data, how the Internet works, computer security, digital media and more. If you want to venture beyond an intro course, there is MIT / MITx‘s seven-course “foundations” series. Note: some of these courses were not available, at time of writing, and thus have no profile page link yet. Please check the edX.org course catalog for more details, or watch this list of XSeries from edX for updates. Introduction to Computer Science and Programming in Python – Topics include the notion of computation, Python programming language, data structures, simple algorithms, testing and debugging, a light intro to algorithmic complexity. Introduction to Computational Thinking and Data Science – Topics include plotting with the pylab package (Python programming language), stochastic programming, statistical thinking, Monte Carlo simulations. Computation Structures: Digital Circuits – Topics include mathematical basis for computation, analyzing the performance of digital sytems, designing reliable hardware systems, digital abstractions, state machines, pipelining, synthesizing digital systems, simulations.